For teams working on apps, be they mobile or desktop based, tracking your reviews in one central place is a good way to keep tabs on your customers. 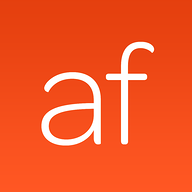 Configure accounts with AppFollow or Appfigures, and add their Slack app to your workspace. Select a channel where all your reviews will be posted, set up the app to post new reviews into the channel. 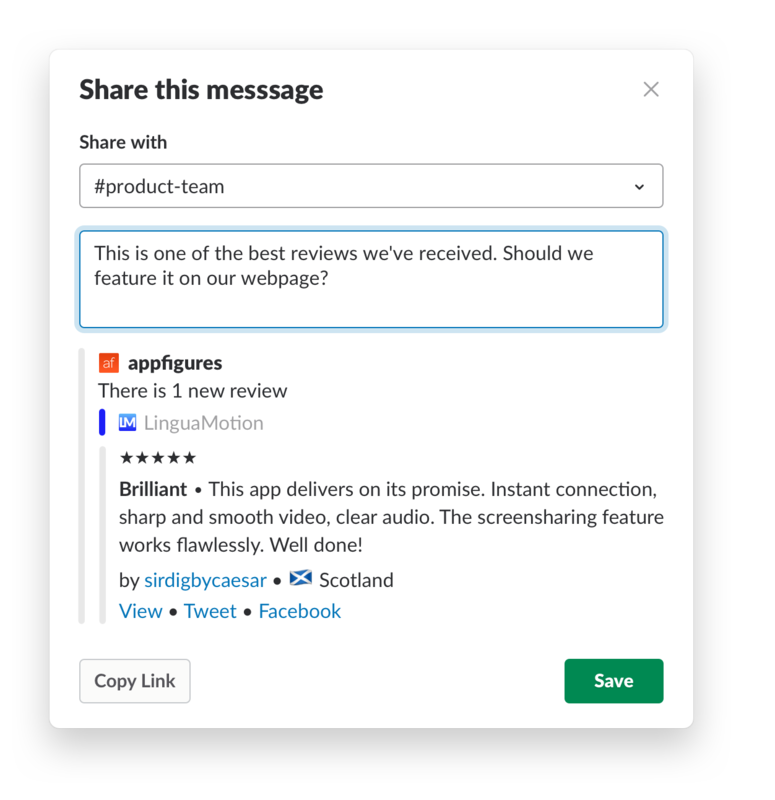 Track new reviews as they come in and use the Share button to route reviews to other channels where you can discuss any problems described or celebrate team wins.